Improving our understanding of the science of climate change, its impacts on human and environmental systems, and how best to respond to the challenge of climate mitigation. ​Tracking the time remaining until we reach 1.5 and 2 °C of global warming. The climate clock is a collaboration between Concordia University and the Human Impact Lab. 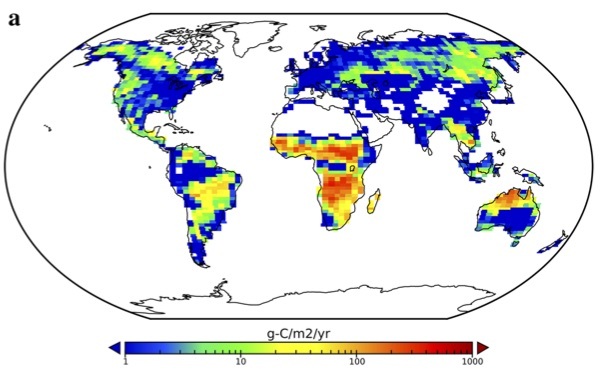 What regions warm the most due to CO2 emissions? See our new analysis of the regional climate response to cumulative carbon emissions (Leduc et al, 2016). 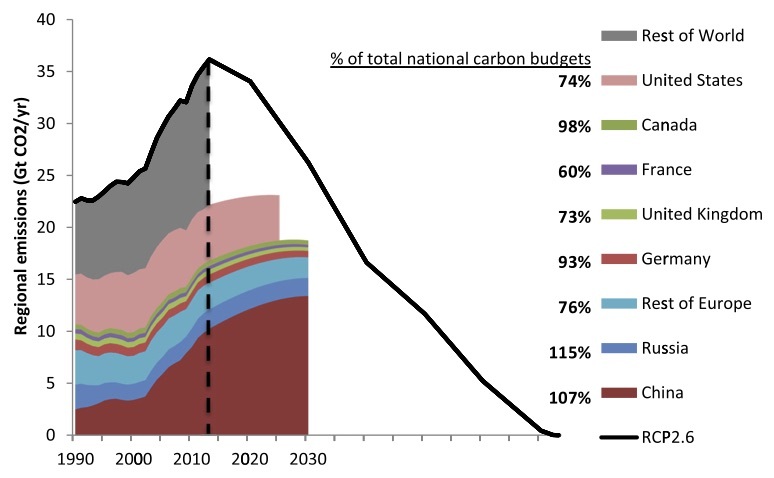 How do national emissions pledges measure up against the 2 °C carbon budget? Not terribly well (Gignac and Matthews, 2015). 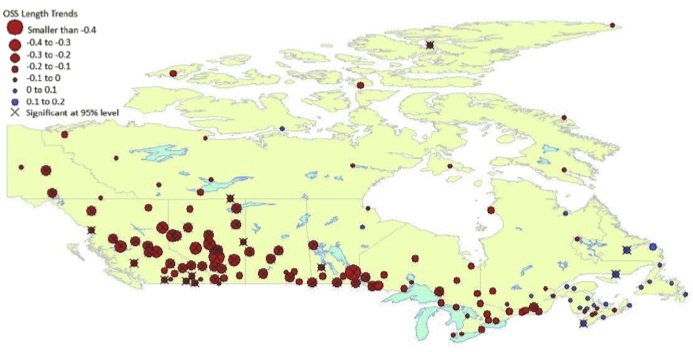 Outdoor skating season has decreased due to warmer winter temperatures in Canada (Damyanov et al., 2012). Will increased fire frequency be a positive or negative feedback to global warming? Like many things, it depends ... (Landry et al, 2015). 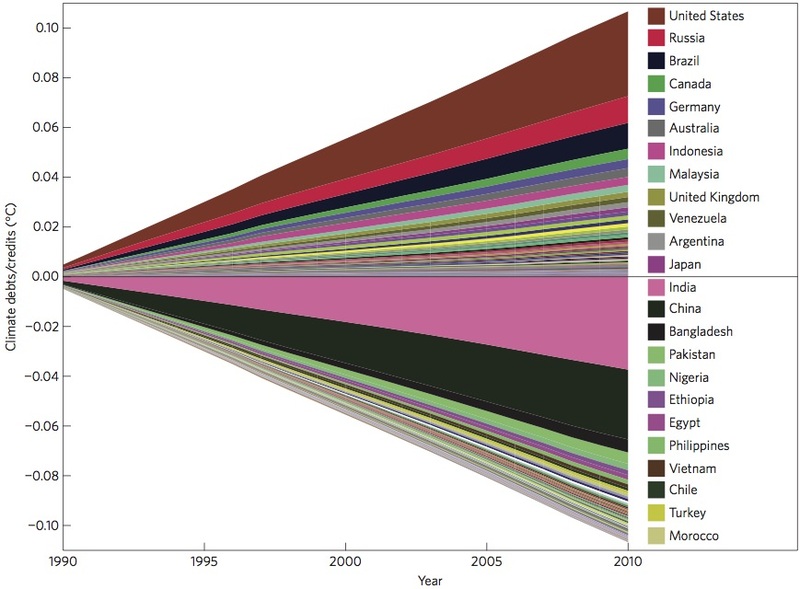 What countries have the most committed CO2 emissions from current energy infrastructure? (Davis et al 2010). 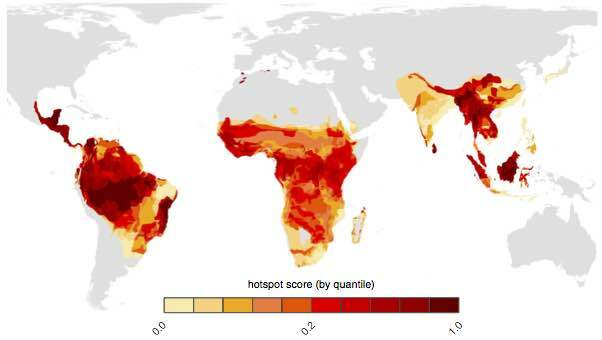 Which non-human primate species will be the most vulnerable to the impacts of climate change? (Graham et al 2016). 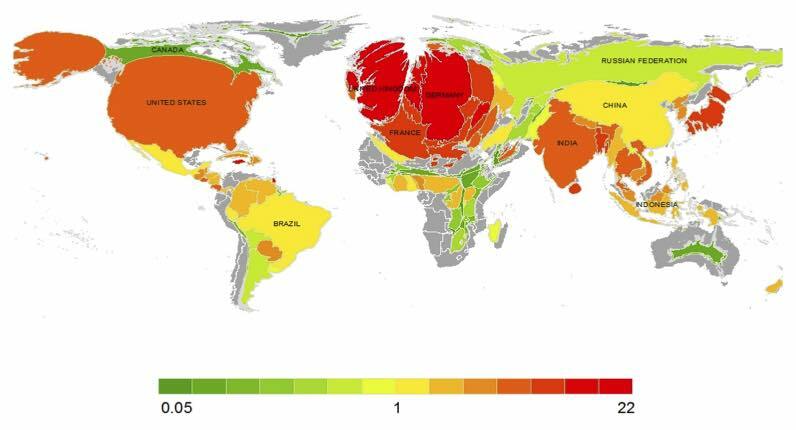 National contributions to observed global warming; country area scaled by the total national contribution (Matthews et al, 2014). 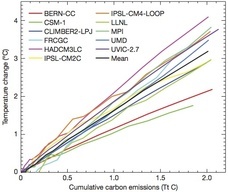 Global temperature change is proportional to cumulative CO2 emissions (Matthews et al, 2009).